Located off Chicago’s historic Lake Shore Drive, W Chicago – Lakeshore provides couples with the opportunity to get married in front of an unforgettable backdrop. With both indoor and outdoor venue options, W Chicago – Lakeshore proudly boasts the only unobstructed view of Chicago’s iconic lakeshore and Navy Pier. W Chicago-Lakeshore features intimate venues for weddings and parties of all sizes, accommodating up to 200 guests. 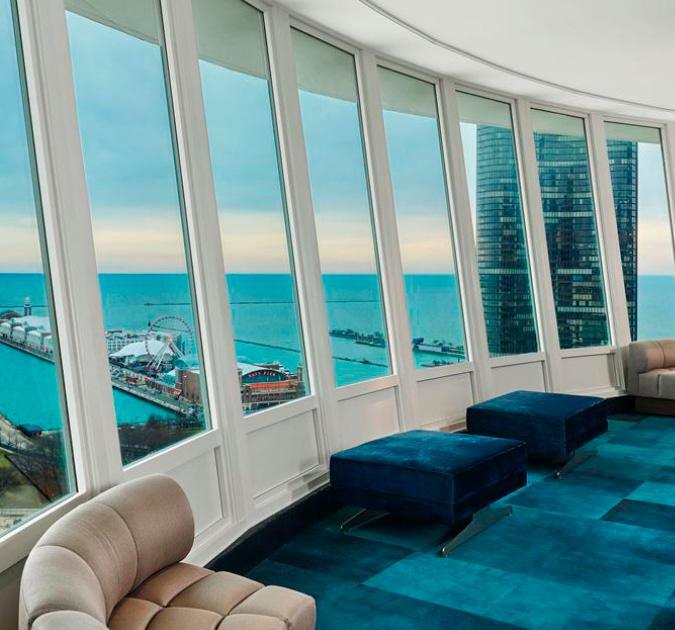 While all weddings are customizable, many couples opt to say “I do!” 33 floors above Lake Michigan in Altitude. Take in the city with the room’s 360-degree view that gives you and your guests an experience like no other. During the warmer months, W Chicago – Lakeshore can host the perfect outdoor event on the terrace of the 6th Floor Deck. Both options offer a gorgeous view of Lake Michigan and Navy Pier while you create memories to last a lifetime. With panoramic views and luxury design, W Chicago – Lakeshore provides couples with the ability to turn their dream wedding into a reality. Customized wedding packages also include a complimentary suite upgrade, a custom web link for the guest room block, an anniversary stay, as well as extra SPG® Points that can be used for future travel.